One main theme of Part Three is: the N-S axis of concern is revolutionary, & the W-E one is liberal, not speculative, but simply broadening & enlarging. Revolutionary characteristics are: the enforced loyalty of a minority group (Jews, early Christians); belief in a unique historical revelation; resistance to “revisionism”; establishment of a rigorous canon of myth; rejection of knowledge for its own sake (demand for relevance or Zweckwissenschaft). Judaism was the only revolutionary monotheism produced in the ancient world, and Christianity inherited the characteristics that made Tacitus scream & Marcus Aurelius talk about their parataxis [sheer obstinacy]. A certain amount of contemporary agitation seems to be beating the track of the “think with your blood” exhortations of the Nazis a generation ago, for whom also “relevance” (Zweckwissenschaft, u.s.w.) was a constant watchword. Such agitation aims, consciously or unconsciously, at a closed myth of concern, which is thought of as already containing all the essential answers, at least potentially, so that it contains the power of veto over scholarship and imagination. 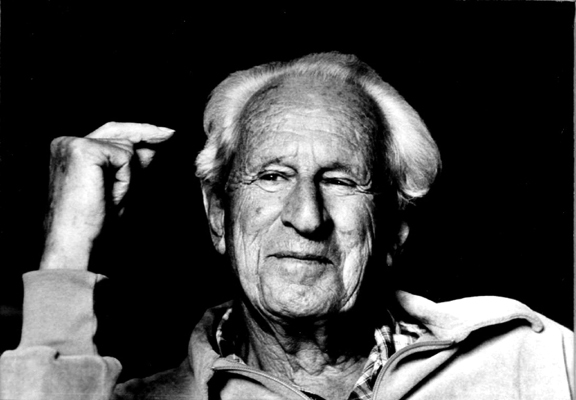 Marcuse’s notion of “repressive tolerance,” that concerned issues have a right and a wrong side, and that those who are simply right need not bother tolerating those who are merely wrong, is typical of the kind of hysteria that an age like ours throws up. That age is so precariously balanced, however, that a closed myth can only maintain a static tyranny until it is blown to pieces, either externally in war or internally through the explosion of what it tries to suppress. This entry was posted in Bob Denham, Frye and Contemporary Scholarship, Ideology, Notebooks on January 26, 2010 by Bob Denham. A.C. Hamilton in Northrop Frye: Anatomy of his Criticism describes Anatomy, published in 1957, as very much a book of its time — so Frye’s reference to various forms of forbidden love as “modulations” must have been eyebrow-raising for many conventionally-minded readers. Frye does not call it that here, but what he is clearly talking about is literature’s unique ability to express primary concerns beyond the pervasive gravitational pull of secondary ones. I’m pretty sure I can remember the first time I ever became aware of this in my own reading experience: Graham Green’s The Power and the Glory, which was an assigned text back when I was in the 11th grade. 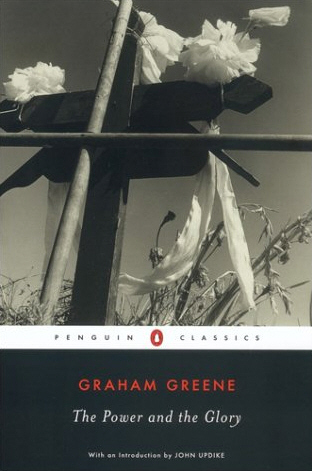 I remember struggling with the contradiction between Greene’s “whiskey priest”‘s all too human frailty and his compelling nature as a human being I felt I could love and identify with, despite his obvious failings. I’m also pretty sure that even though I wondered about it at the time, I was nevertheless grateful to accept that it was so. Literature was showing me something I otherwise couldn’t account for with any certainty; and within a year I read The Educated Imagination for the first time which articulated what I in some sense already knew but simply could not yet say. Literature references ideology but does not promote it. Literature gives expression to primary concerns, most especially when they are contrary to the ideologies that readily suppress them. Desire may on occasion be moral, but the moral can never contain desire — and in the struggle between the moral as a secondary concern and desire as a primary one, desire always prevails. That, paraphrasing Wilde’s Lady Bracknell, is what fiction means. This entry was posted in Anatomy of Criticism, Archetype, Primary Concern on January 26, 2010 by Michael Happy.